Sometimes ideas are brought to life with a pen and paper. We can provide you with all of the components needed for your cottage roof, starting with the right design for your home. Although we recommend an architect for extensive renovation, we can still spark your imagination, and find the right look for your home. (The image shown here was created using actual before and after photos!) In addition, we can manufacture your cottage roof system, including curved eave shingles, curved gable shingles, curved ridge shingles, and 'Up's and 'Downs' for the hip and valley areas. We can estimate the quantities needed from plan or from your existing home. If you are looking for installation help, we can certainly provide this as well. Depending upon the scale and location of your project, it may and sometimes may not be cost effective for us to provide installation. Feel free to reach out to us if you need any assistance or have any questions. 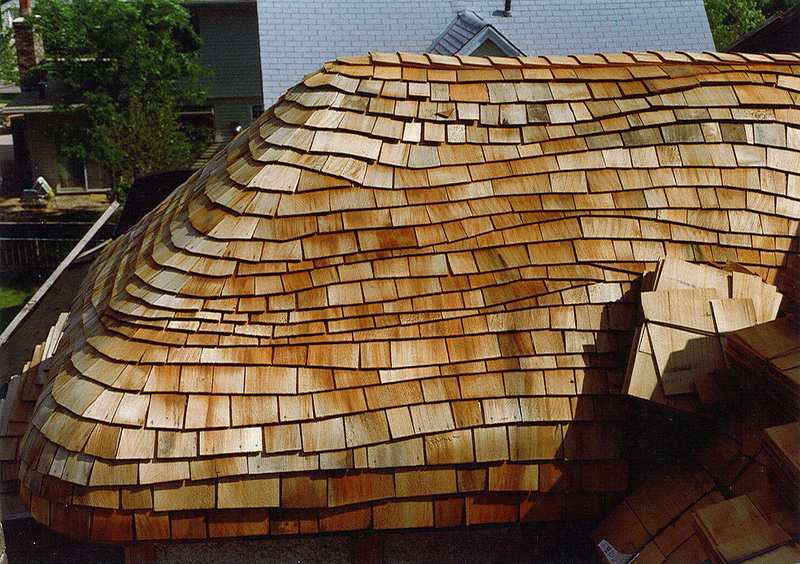 The work we do is diverse -- But in all architectural genres, our products and design escalate roofing to an art form. Here is a small sampling of some of the projects we have helped create over the last several years.